The average body temperature for a healthy toddler is 98.6 degrees Fahrenheit, but this temperature is merely an average and most children's body temperatures fluctuate slightly throughout the day. Environmental conditions and normal body processes might temporarily lower a child's temperature, but a chronic low temperature might indicate a serious underlying condition. 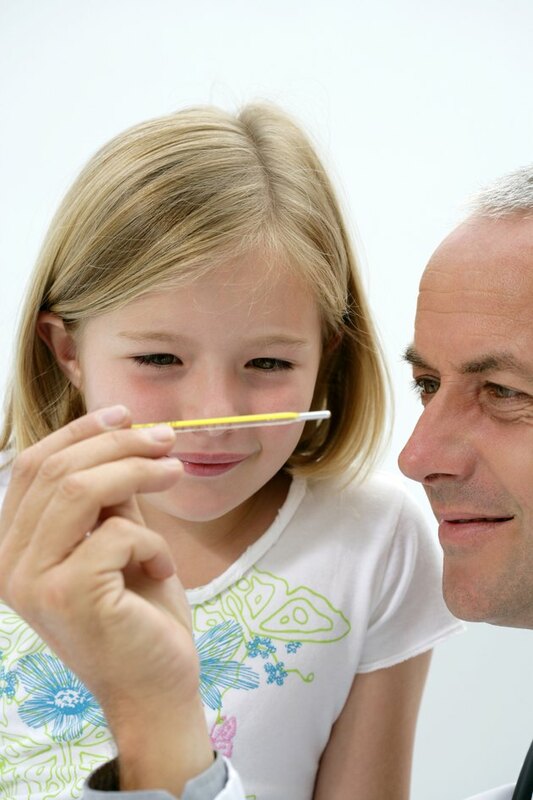 Keep track of your child's normal average body temperature and consult your pediatrician if it remains low. Children's temperatures fluctuate substantially depending on their activity levels. Your child's temperature will be higher than normal after strenuous exercise and lowest in the morning. Take your child's temperature again when she has eaten and been awake for several hours to get a good idea of her average normal temperature. The foods children eat strongly affect their body temperatures. The temperature of hungry children frequently is slightly low. Additionally, deficiencies of iodine and some other nutrients cause low body temperatures. Give your child a multivitamin and feed her a balanced and varied diet to ensure she receives proper nutrition. Pediatrician and author William Sears reports that some children's temperatures drop when they are sick. Frequently, this drop happens prior to a fever. Fever reducing medications also might lower your child's body temperature slightly below normal for a few hours. Low body temperature sometimes indicates a chronic illness. Hypothyroidism, caused by an underactive or ineffective thyroid, lowers children's temperatures and causes hair loss, depression and sluggishness. Anemia, caused by an iron deficiency, also might lower the body's average temperature. Some autoimmune diseases lower the body's temperature by altering immune responses. If your pediatrician suspects a more serious condition, he will perform simple blood work and ask your child about other symptoms she has.